Today we are interviewing Anne Kemp, women's fiction author, who is giving away one of her books. Alexis: Hi Anne, thank you for visiting Happily Ever After Thoughts :-) You just had your first novella debut last month, ALL FRUITS RIPE. Can you tell us a little about it? Anne: Sure! It’s the prequel or mini-novella that introduces readers to the character, Abby George. It’s a fun 30 page teaser giving you a sneak peek at her world in LA, just after being laid-off and right when she’s given an offer to relocate to the Caribbean. Alexis: Living in the Caribbean myself, I'm sure I know what her decision was :-) And already you have the next in your series coming out this coming week. How exciting! You already know I love your setting. So what is RUM PUNCH REGRETS about? 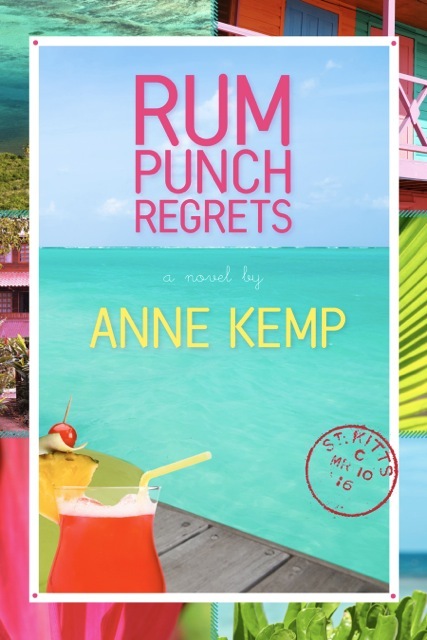 Anne: RUM PUNCH REGRETS is about what happens to one LA woman when laid-off and offered the chance of a lifetime. It’s about discovering family secrets, while discovering oneself, coming to terms with your siblings and who they are…and about falling in love again! Anne: Funny enough, - well, now it’s funny - I was laid-off like many others in 2008, right before Christmas. It felt like the world around me had collapsed. My ego was bruised and I was still smarting from the news when I was offered the chance to take off to St. Kitts. How do you say no to an opportunity like that? Alexis: You don't :-) So this idea came straight from your life. That is wild. What is your favorite character trait of Abby? Anne: I really wanted her to be relatable and early feedback showed me I hit the nail on the head :-) I love her so much. She’s fun, fun , FUN to hang out with! Alexis: I like fun people and I'm guessing that you are fun too :-) You are also an award winning blogger. What made you decide to write women's fiction? Anne: I’ve always wanted to write a book so I finally made myself do it. Plus being laid-off….kinda of gave this gal a little incentive. Alexis: And a little time, right? What can we expect next from you? Do you have any new releases coming or a work in progress? Anne: I’m blessed that I get to write a whole series about Abby George! I’m currently working on the next novella to be released in early fall and the second full-length novel. Each book takes you a little deeper into Abby’s Caribbean world – and it’s going to be a bit adventurous! Alexis: How fun. Every day here in the Caribbean is an adventure, so I'm sure your books will be very entertaining :-) Thank you so much for sharing your stories with us. It's a pleasure having you visit. Anne: Thank you for having me – it’s truly and honor. Her original and honest sense of humor used in her columns and blogs earned her a Bloggers Choice Nomination for Best Humor Blog in 2010. 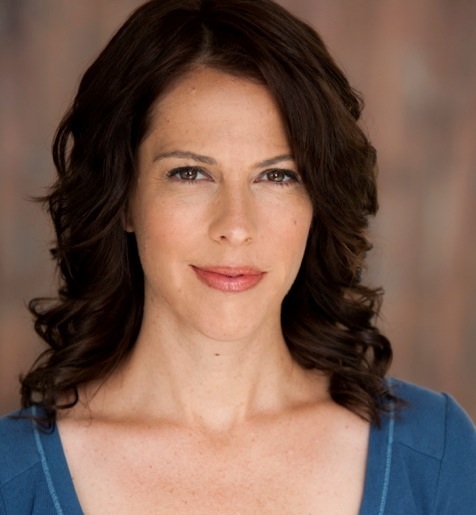 A portion of Anne’s book revenue is donated to Lupus LA. Thanks for stopping by Happily Ever After Thoughts, Anne. I am intrigued by Abby's new adventures after being laid off. I understand that particular brand of upheaval (having been through it myself). Looking forward to reading about how Abby pulled it all together and found her paradise. The Caribbean setting would be wonderful--HOT, steamy, exotic, wet, lush and ripe. Ideal for romance to bloom. Oh Catherine, it really is paradise down there. And I have to say, it's the best spot to fall in love...Thanks so much for taking the time to read the blog today! How fun to live in the Caribbean. This sounds like an enjoyable book. Enjoyed the interview and your website, too. You're a true rodeo queen. That rocks! Don't think I've ever 'met' a rodeo queen before, lol. The rodeo seems romantic. Do you think you might write a rodeo-based book sometime? I appreciate how you turned your experiences into something positive. Seems like the job loss is a great hook for a lot of people. How long did you remain in the Islands? Your character sounds like a riot of fun. In times of stress, it's interesting how we can crawl into a hole or gain a keen sense of humor. Great that you could translate it into your character. Thanks you for your kind words :) I've not thought about doing a book around the rodeo, but it is a romantic notion, isn't it? Maybe once I'm done on the islands, mon! I was on St. Kitts for 9-10 months. It was an amazing experience and one I'm blessed to have taken part in. Have a great week - and thanks again for stopping by! Congrats! on the book release, Anne. It sounds like it will be a fun read and the cover is gorgeous. Hi Anne -- Love the title and cover of your book. Congrats on the release and wishing your a zillion sales. How much fun. I love books about family, relationships and secrets. I do, too and I love it when other folks can relate :) Thank you for taking the time to come by Maria! Congrats on the new release, Anne! Love the setting! Your cover is terrific too! Here's to tons of sales! Ah, yes. I was laid off in January of 2009. I guess a lot of us were! Loved ALL FRUITS RIPE - looking forward to RUM PUNCH REGRETS! Christine - thank you for reading ALL FRUITS RIPE! Can't wait to hear your thoughts on RUM PUNCH REGRETS. Lay-off's are something I think a lot of can relate to these days...I'm so glad I survived! Thanks for stopping by! Hi Anne! I love how you turned your life around after being laid off -- turning lemons into rum punch. You rock! Sarah - thank you so much for the compliment. I look back at how my world has changed and I am forever grateful that I was laid off. Best. Thing. Ever! I do love a Caribbean setting! LOL Congrats on the release, and for turning a lousy situation to your advantage. Thank you Roz :) I wish we were sitting on the sandy beach of the Caribbean now...rum punch in hand, under an umbrella and relaxing...ahhhh, Monday daydreams! Brava for turning an unpleasant situation into a creative accomplishment! Thank you Tiffany - I love that life is truly made up of a million tiny surprises that just happen when we let go and stay still. For once, I sat in one spot until something pointed me in the direction I'm headed now! Congratulations on your release! The book sounds totally entertaining. It's been my experience that things happen for a reason, and while we don't always understand it at the time, it all works out in the end. Thank you so much for stopping by :) and I completely agree. It's like the saying "when one door closes.."
I had read the novella and enjoyed it very much so the book is on my TBR list for sure! Enjoyed the interview! Yay Veronica! Thank you so much for reading and I can't wait to hear your thoughts! Thanks, too, for taking a moment to pop by the blog!! Congrats on your release. It seems like just yesterday that we were speaking about our debut novels. And now here it is. I know Janie! I cannot believe it's happening. I think it was this afternoon it HIT me like a brick that it was happening :) It's really exciting, isn't it? Hope you're well and thank you so much for taking a moment to stop by! What a great blog and such a kind, seet response! Thank you to Alexis Walker for having me on her blog today and providing me with such fun questions. And a big thank you to all of you who took a moment to stop by and say hello! Make sure you guys always drink lots of water and take two aspirin after some Rum Punch...TRUST ME!!! Anne, it has been a pleasure having you on HEAT. I just want to say that I think it is wonderful that you are donating to the Lupus Foundation. My Godmother has had Lupus for the last 38 years and any donations that help find a cure or even medicine to help quality of life issues have my full support! No one is ever late to my parties :) They just get more interesting when newcomer's arrive! Thanks for taking the time to stop by - I really appreciate it! The Caribbean has its own feel. Congrats on capturing it for readers everywhere! Sounds like a really fun read and I LOVE the title! Congrats! Hi Meredith - thank you, thank you! I love this title, too..Really does bring back some memories :) Thanks for taking the time to stop by! What a fun premise. Looking forward to the read. Wonderful that you seized the opportunity when it was offered. Great premise,with a great story behind it. I've always wanted to go to the Caribbean! Maybe I'll pick up a copy and "go" there in my mind! Congrats on the release. Sounds like a fun read, Anne! My husband lived and worked for 3 years in Tortola (British West Inides) before we were married, so I can just imagine the alcohol-infused stories you'll come up with for Abby! LOL! Can't wait to read you new book!!! I got super-busy this week, Anne --- sorry I didn't get by sooner. I enjoyed your interview here.